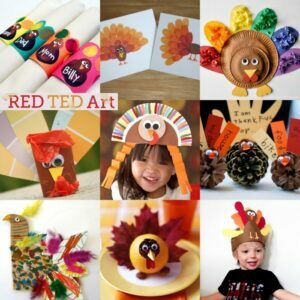 We have previously shared some fun Turkey Crafts for Kids! 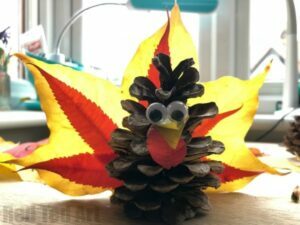 Though we love Turkey Thanksgiving Crafts, we thought it would be great to expand our Thanksgiving Crafts for Kids ideas to include other ideas too – many leaf crafts make wonderful Thanksgiving Decorations and of course you need a Pilgrim Craft or two too. 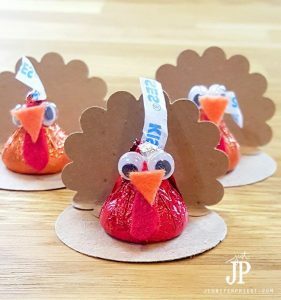 So today we have a lovely set of craft ideas for kids, that we think are perfect for Thanksgiving – be it decorating for thanksgiving, creating table settings or making Thanksgiving Hostess gifts. 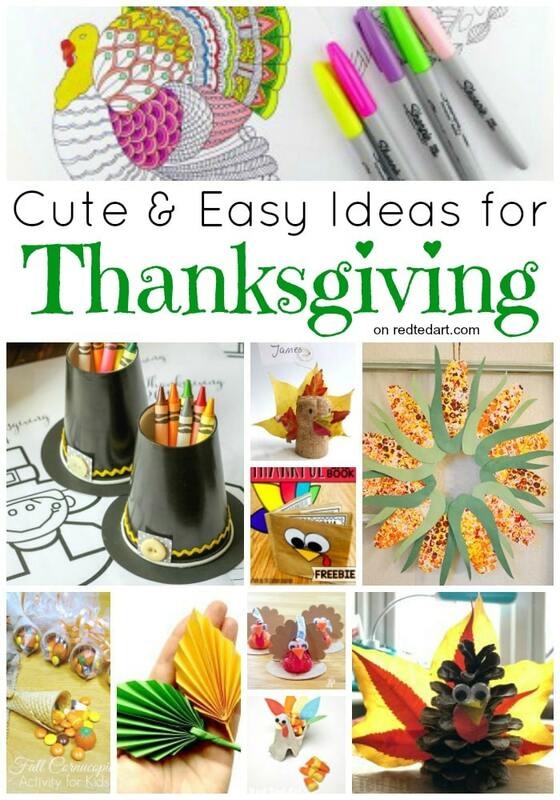 Some ideas are perfect for Thanksgiving classroom ideas too!! 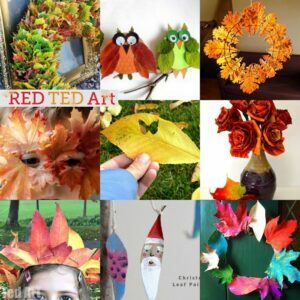 You may also like to browse our DIY Fall Garland ideas – many of which would be perfect for Thanksgiving, as well as our Fall Crafts for Kids! As mentioned we have shared many Turkey Crafts for Kids before, but are highlighting our favourites for this Thanksgiving Craft collection! 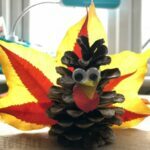 Pinecone Turkeys are so cute and fun to make. 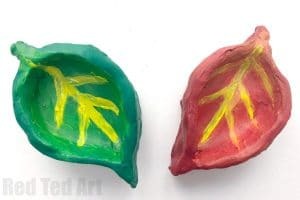 Love the combination of leaves and pinecones, makint this a true Nature Craft for kids! If you want to presever these for longer display, do make sure you preserve the leaves first. 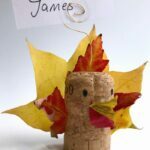 We also love these super duper cute nature Cork Turkeys – cute little decorations or place settings. 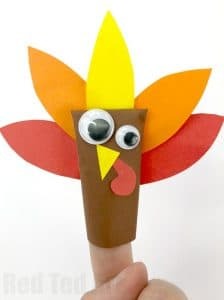 Super cute and easy Turkey Finger Puppets. 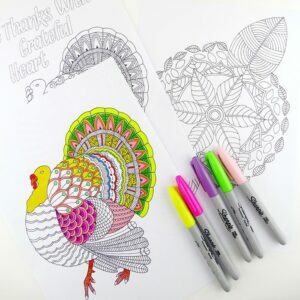 Fabulous free Turkey Coloring Page for kids and grown ups. Choose from the turkey design or the Leaf Mandala. Get Zen this Thanksgiving! 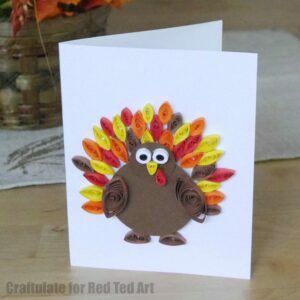 We love a Paper Quilling project and this Quilled Turkey is a perfect Thanksgiving card to make. 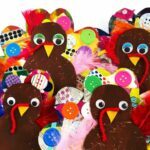 This Egg Carton Turkey is quick and easy to make – write thankfulness messages on the turkey feathers and fill with treats. 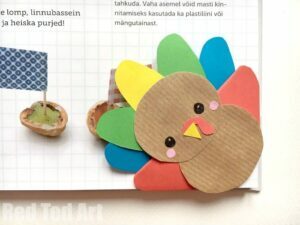 Cutest little Turkey Bookmark Corner – surprsingly easy to make – even young kids can manage! A free resource over on Teachers Pay Teachers. 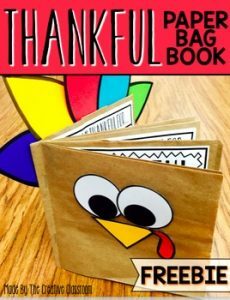 Turn a Paper Bag into this oh so cute Thankful Book with a free printable on Teachers Pay Teachers! Fun with some free printable Turkey Trivia over on Craftaholics! 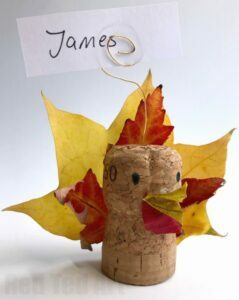 We do adore Leaf Crafts for Fall! 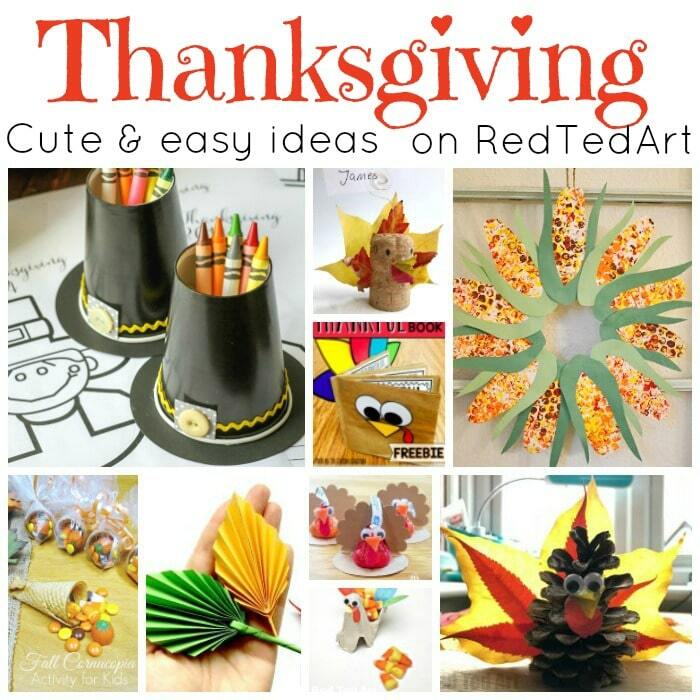 They make a perfect Thanksgiving Craft theme for kids too. 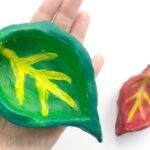 Easy Leaf Pinch Pots make a great little Table Decoration or Thanksgiving Hoste Gift Idea for kids to make. 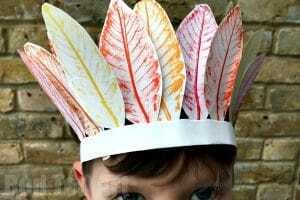 Keep the kids busy making these lovely Leaf Paper Crowns. Write thankfulness messages on the back. 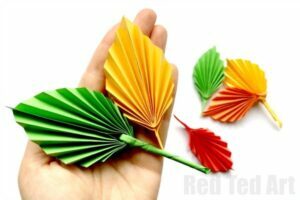 Super easy and great looking Paper Leaf Origami. Turn these into place settings or scatter them on the Thanksgiving Tablea s decorations. 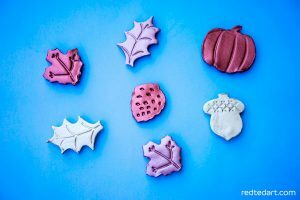 Cute Autumnal Clay Leaf Magnets – another lovely little Thanksgiving Hostes Gift idea. 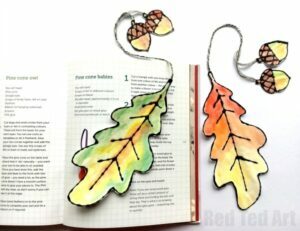 Kids can get arty and make some gorgeous Leaf Bookmarks – complete with free template- these bookmarks would make a lovely Thanksgiving Hostess gift idea or use them to write thankful messages on the back. 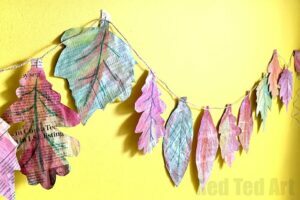 Newspaper Leaf Garlands make a an effective way for kids to help decorate for Thanksgiving – be it at home or in the Thanksgiving Classroom! 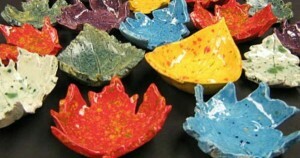 A long term favourite here on Red Ted Art are thse wonderful Leaf Bowls. Easy to make and look so effective. 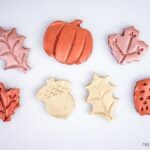 They would be great for the Thanksgiving Table or as a Thanksgiving Hostess gift for kids to make! 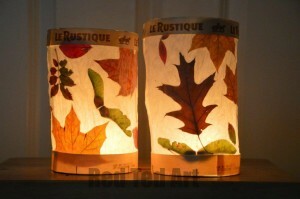 Another firm favourite here on Red Ted Art are these Leaf Lanterns. Again super easy to make and would look very effective as Thanksgiving decoration. As super quick last minute decorationsa re these mason jars and leaf decorations. Quick. Easy fun (and environmentally friendly)! 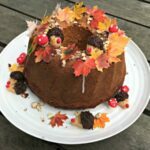 Super duper easy Fall Cake – so simple. 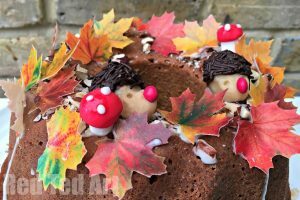 Make your favourite cake recipe and turn it into this stunning cake for Thankgsiving! 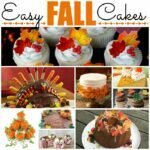 Such an easy Fall Cake Decorating idea! 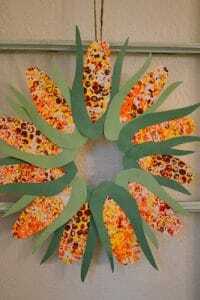 Love the process of making these fun Corn Wreaths. Read more about them on 1 Pure Heart. 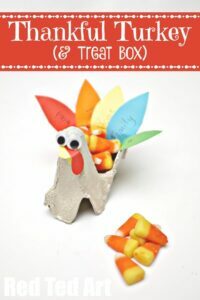 Such a lovely Thanksgiving decoration for kids to make. 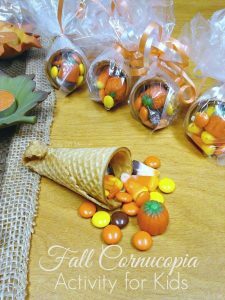 What a fun and easy Cornucopia Activity by Hometalk. This really is a simple and super fun idea. Makes for a great little Thanksgiving Favour for kids! 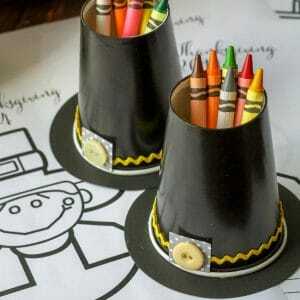 Adore this clever Paper Craft – turn Paper Cups into fabulous Pilgrim Hats, perfect for holiding some crayons or colouring pens at the Thanksgiving Table. Check out Lil’ Luna for info! Thanksgiving is my favorite holiday. Thank you so much for making these crafts. I think I have made about half of them or more. Thank you, thank you, THANK YOU! I am thankful that you have such a amazing website. Awww my pleasure! More coming soon!